This jumper arrived in the post! A very generous gift from Anne*. 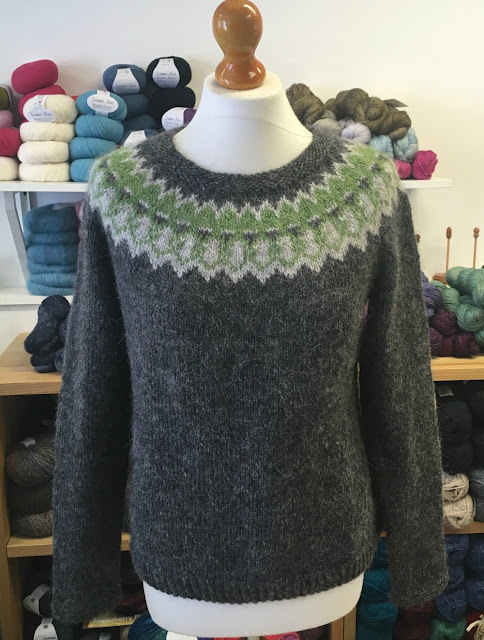 It's knitted in Lettlopi using Ysolda Teague's Strokkur pattern. Pattern is available to buy on Ravelry and in the shop. It's a relatively simple garment knit - it's seamless with limited shaping. 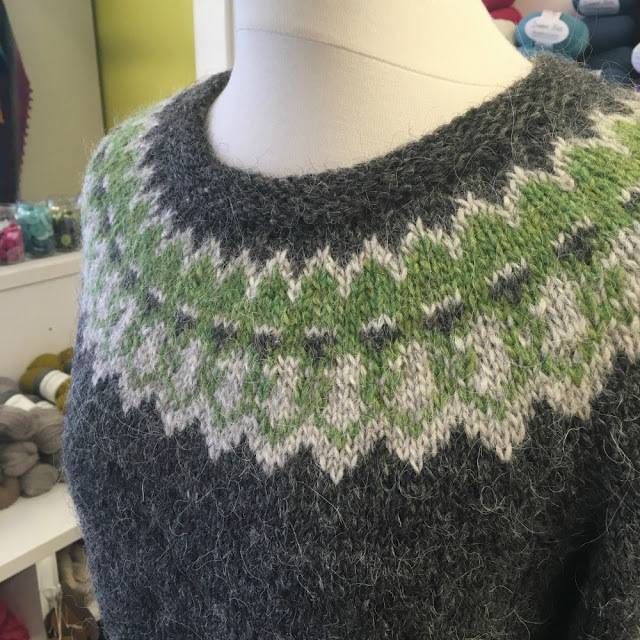 The bold yoke would be ideal for beginners in stranded colourwork. 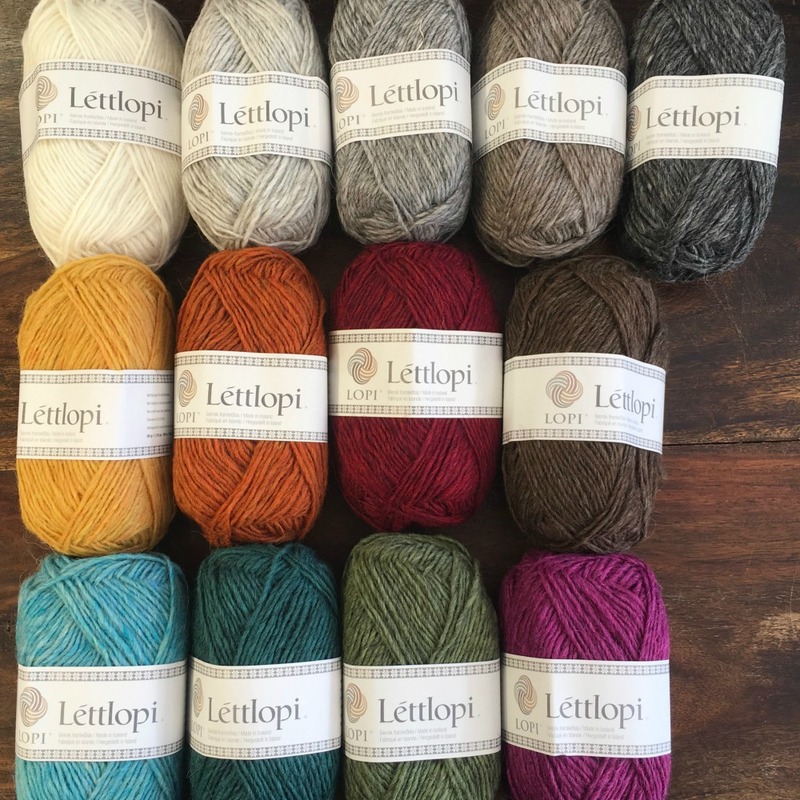 The aran weight yarn means it knits quite quickly too! *Anne, please get in touch so I can thank you personally!